General guide for installing physical boot OS X from a Windows VMware hosted guest instance – Including some specifics for Yosemite, El Capitan latest macOS, the Clover boot loader, and my specific hardware. The one main snag to this Virtual to Physical approach was that, even when the physical installation drive was taken “offline” via Disk Management, Windows still had a readonly lock on the boot parition such that the bootloader install (Clover) would fail… and we’re not going anywhere in h@ckintosh land w/o a bootloader… fortunately I finally came upon a couple smarties in the VMware forums that suggested a rather obscure hack that works (see “MBR trick” below). This approach generally assumes you’ve got a WinPC already and you want to leverage that same hardware to physically boot OSX at times as well. 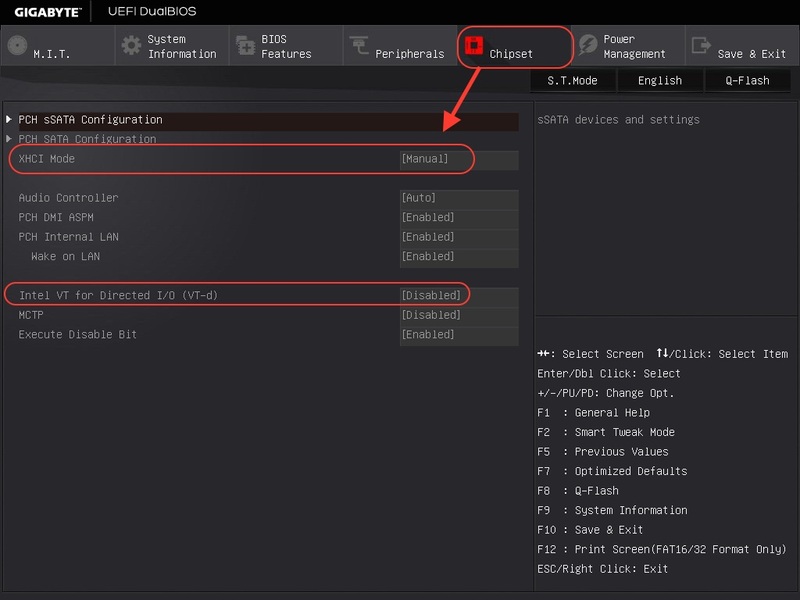 To put it out there up front – The convenience of ready-to-run VMware OSX images are the primary timesaver in this approach. Full disclosure, if you hadn’t heard it before, H@ckintosh is already a grey area, and the bits required to patch VMware to run OSX are more shades of grey. I’ve included links to finding the bundle we’re counting on. That VMware stuff can admittedly get fiddly and the convenience factor drops off fast when that happens… I intend to document that better next time I go through the process. Secondly – I had trouble getting my USB stick to boot with Clover on my hardware – which appears to be a known issue on my mobo (Gigabyte X99-UD4) – so on the way to prepping a USB for UniBeast, I figured why not see how tough it is to install directly from VM OSX to my intended physical drive vs fighting the USB. Apple does keep locking down kext security more and more so there’s been a trickle of tweaks necessary on the SIP/CSR end of things going from Mavericks to Yosemite to El Capitan… those have been trivial settings to apply once identified but as is typical in this space, one must scrounge the interwebs to find those clever souls who’ve figured out the latest little trick… yet this is the nature of the game and would be just as necessary (doubly so) with the USB route. Extra bonus – when troubleshooting is necessary, it is way easier to noodle around on your physical drive from the full working OSX VM environment vs the constrained environment you get from USB boot into Installation / Recovery mode. 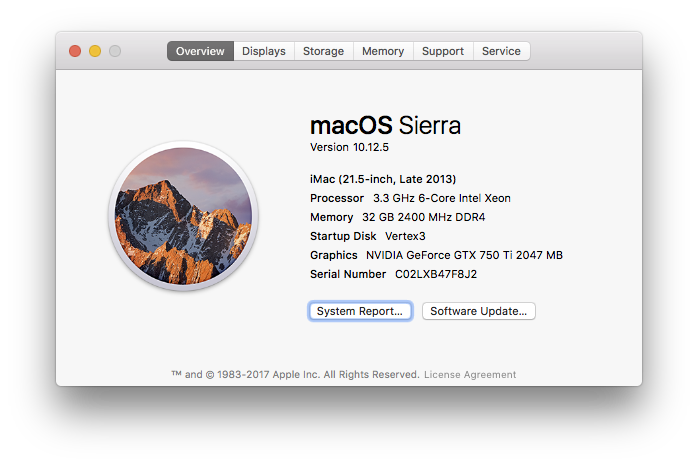 FYI – This is a perfectly copacetic Hackintosh build… sleep works great, dual screen digital video is perfect as well as audio and network. No drivers necessary to vanilla boot into Yosemite – understand there is no QE/CI out of box but a very workable low res mode for initial install and then full QE/CI via Nvidia “webdriver”. Software versions only listed for reference as of this build, not crucial unless noted. if curious, you can confirm which version of OSX you got from the app store via the “Startup Disk” popup that comes when you quit out of the installer. HaswellE kernel patch is a checkbox vs manually patching the kernel – nice! GenericUSBXHCIin conjunction with disabling XHCI in bios, this kext enabled night and day improvement in VM performance under **Yosemite** … under El Capitan v10.11.2 my USB devices stopped working… removing this GenericUSB kext allowed them to work again and fortunately the previous Parallels VM performance problems didn’t manifest after that… I also up’d from Parallels V10 to V11.1.1 (32312) since then which might be aiding this complex compatibility equation as well. In my experience on Win8.1 & Win10, simply taking the drive “offline” via DiskManagement was not enough… even though I’ve seen that suggested several times… maybe Win Server behaves differently?? and therefore works out for the majority of folks running VMs… or maybe OSX install does some rather uncommon boot partition writes vs other operating systems?? Major Parallels/Fusion VM performance fix!! – the nutshell is apparently the xhci stuff has a major impact… i had mine disabled but then didn’t have xhci manual mode selected nor the GenericUsbXhci.kext loaded (see El Capitan update under Software Bits 8.4) and after doing both of those my Parallels 10 performance was respectable…prior to that all Windows VM spinups were major slow and obviously just hammering the first core from Activity Monitor, afterwards all cores jump around randomly. Bootcamp under Parallels, fix “missing operating system” – first shutdown the Bootcamp guest VM so you can make configuration edits, then “Edit Partitions” and for me, my little recovery partition wasn’t selected vs the main Windows OS partition, just had to select it (in addition) and restart. on the VM image i had major kernal_task CPU crunches that would storm in and bring everything to a stand still… guessing thru googling that some IO kext is getting hung up… i disabled sleep and this issue no longer occurred, no big surprise. easy success with Migration Assistant restoring from Time Machine backup after booting into a fresh OSX install makes this my preferred approach – see “Time Machine saving to Windows share” under Misc tweaks below. 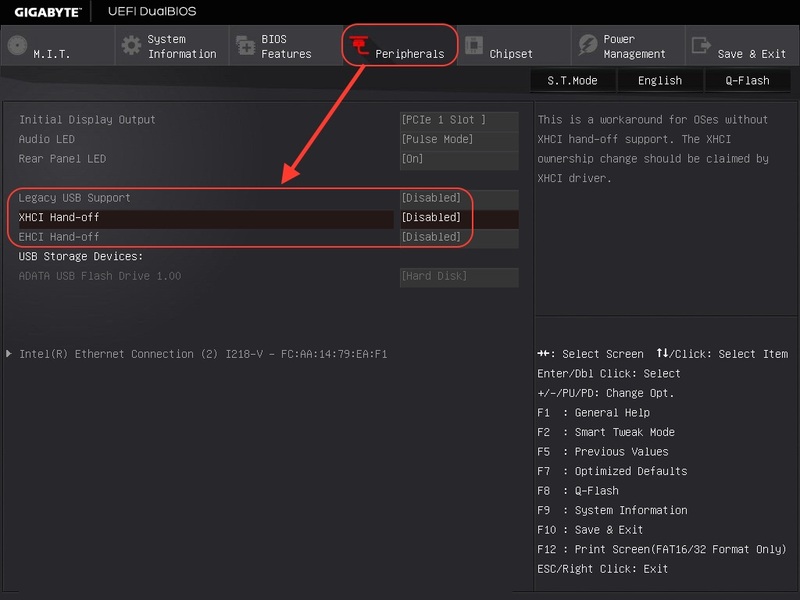 Clover Configurator settings – these need to get saved to your EFI partition/EFI/Clover/config.plist, so you’ll need to mount your EFI partition and make sure to select this file before you start applying settings, and then don’t forget to save before quitting. Theme – my chosen them never seemed to save to the config.plist for me so i just found the <theme> section and put the one i wanted manually (textedit works fine here). Play it safe, do a Time Machine backup of this pristine install before you do anything else to screw it up (see “Time Machine saving to Windows share” below) – *** especially before the Nvidia drivers ***, i’ve had them black screen me… if that happens, try nv_disable=1 boot arg first before starting completely over. Fire up Time Machine prefpane and select that drive, yay! CONFIRM THAT YOU CAN RECOVERY RESTORE from this rather unsanctioned source – traditionally one does this from a “Recovery HD” partition with the special Time Machine Restore tool available to that environment but i ran into enough snags that my preferred approach is to reinstall OSX from scratch from the OSX virtual machine, then boot back into the fresh install and use Migration Assistant to restore from the Time Machine backup. This is a resilient solution because if we somehow trash this guest VM, we can readily recreate it from the source vmdk file.